Here's an idea. Let's have a thread where we post our most recommended computer parts and whatever we have every month we can collate and then post as an article. At least everything would be in one place for everyone to easily read through. For me, I think I like the MSI Wind as a netbook. what would be the ideal not so expensive HTPC setup? i was thinking about the AMD 790FX + SB750 OK na kaya ito? hehe okay to ah, parang "Best Hardware For The Money" ala THG. HD4850, HD4870. if 9800GTX corresponds to international pricing of below $180, that too. imho, Hard Drive since internet nowadays offers high speed bandwidth with more files to download from so, the need for more, bigger capacity is a must-have. 2nd is the graphics card + psu combo since most demanding games today require a good mainstream to high-end cards in order them to be playable with acceptable to maximum Framerates. 3rd is the LCD monitor but here's what i know, the larger the monitor you want to buy the more powerful video card it required to play at bigger native resolutions. harddrives: no reason to get anything lesser than 160giggers nowadays, sweet spot for harddrives right now are the 250GB, 320GB, and 500GB SATA 2 models. from 2.4k-4k, so thats like 8-10pesos per gigabyte, compared to a 160GB = 2k which would be P 12.50 per gig. 1TB drives are awesome too, but too much of an egg basket to break. 1GB drives are awesome too, but too much of an egg basket to break. someone's offering the WD10EACS at 7k in TPC. sana naghintay na lang ako. may chance pa siguro bumaba yan kapag narelease na ung 1TB black ng WD. "For testing I used my handy multimeter to monitor the voltages and I used a Seasonic Power Angel to monitor overall wattage and power factor. All testing for load was done with SLI enabled, and to achieve full load on my system I used Orthos Stress Prime and 3dMark05 running at the same time. During boot up I checked the wattage used and it peaked at 195Watts, with a Power Factor of .97-.98 or 97%-98% efficient. After boot I let the system sit for a bit to get the wattages, PF and the voltages of the 12volt and 5volt lines. This was during a one hour period, the wattage was between 168 and 171 with the Power Factor stable at .98 or 98%. For 30 minutes of that one hour I monitored the 12 volt line and for the next 30 minutes I monitored the 5volt line using my multimeter connected to a molex connection. It's normal to see voltage fluctuations on the 12 volt rail, especially while the system is at idle, and the fluctuations are so minor really it's nothing to bother about. My load testing was done for the same one hour duration, here I monitored the voltages individually again for 30 minutes each. Under load my system peaked at a paltry 222Watts according to the Seasonic Power Angel, during this time the Power Factor actually went up to .98 and .99, or between 98% and 99% efficient. This is something you want to see, the efficiency going up under load on the system, so that's a very good thing." DragonSteelMods gives the Ultra X3 1000 Watt ATX Power Supply ULT-HE1000x a 5 out of 5 score." pwede rin ba post dream rig.. The Velociraptors are now also available in 74GB (WD740HLFS) and 150GB (WD1500BLFS) capacities. syempre mas ok kung winxp parin yung os. may mga icafe ba na naka vista na? curious lang. Scored a Razer krait.. I must say in terms of ergo and grip, the G5 wins. The Krait has a rubber side railing.. grippy when dry.. slippery when your finger's edge becomes partially moist from sweat. As opposed to the G5's.. The G5's side has a somewhat sandpaper-like finish on it.. it's grip doesnt slip even when the fingers become moist from sweat. and one for as cheap as you can without going for any second-hand or refurbished parts. hehe outsourced na ung Buyer's Guide articles, sakto, am about to build a brand new 30k system by the weekend. ill keep you guys posted. oh btw has anyone noticed the sudden influx of Asus P5NSLi boards in the market right now? ranges from 1.9k - 2.5k. better option than those cheapo boards with built in video. 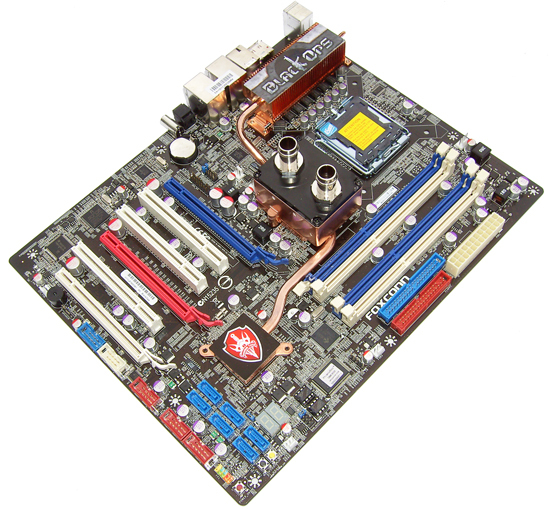 i did build my girlfriend one, with that board and an E2180. was able to overclock to 2.75GHz with ease.